In December 2004, Stephen and Marcie Porter donated 13 acres of land with 1,600 feet of frontage on the Georges River in Searsmont to the Land Trust. This generous gift added valuable acreage to protected land in the “wilderness loop,” a conservation focus area of the Land Trust, and is just upriver from the Gibson Preserve. The property features a birch-beech-maple forest, old fields, alder shrub thickets along the riverbank, and marsh habitats. Osprey nest in the area, and if you are quiet you might see a snowshoe hare. The Porter Preserve is managed to protect wildlife habitat and maintain natural communities. 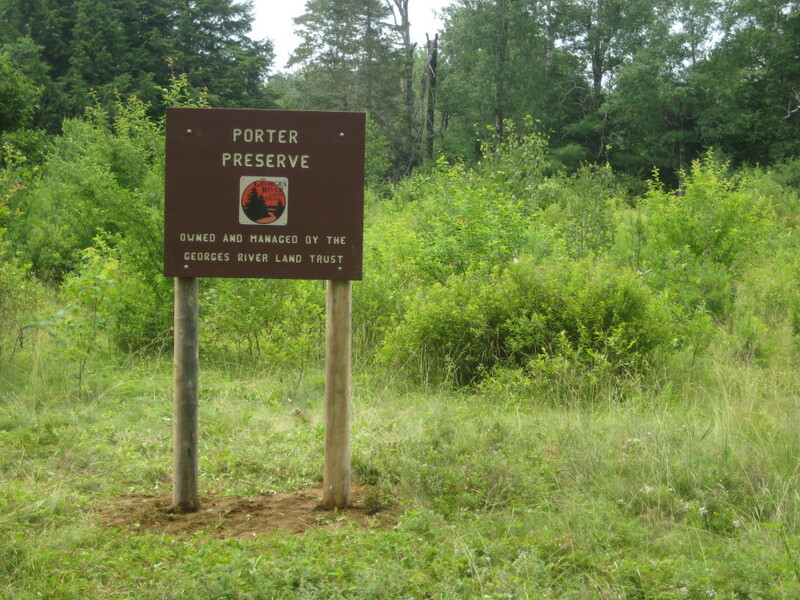 The Porter Preserve is open to the public for day-use only; no overnight camping is allowed. Hunting is permitted with written permission. A short trail on the western side of the property leads to the banks of the Georges River. From the center of Searsmont (Fraternity Village Store), head west on Route 173. Travel 3.8 miles to the Porter Preserve on the left. Park on the shoulder of Peters Road, a dirt road across from the property (see map).